We’re celebrating ten years of telling stories that happen on and off the bus, so we’ve just reopened the doors to the Muni Diaries Etsy shop with brand new swag! Designed by Nate Tan at New Skool, our tee’s and onesies are back. 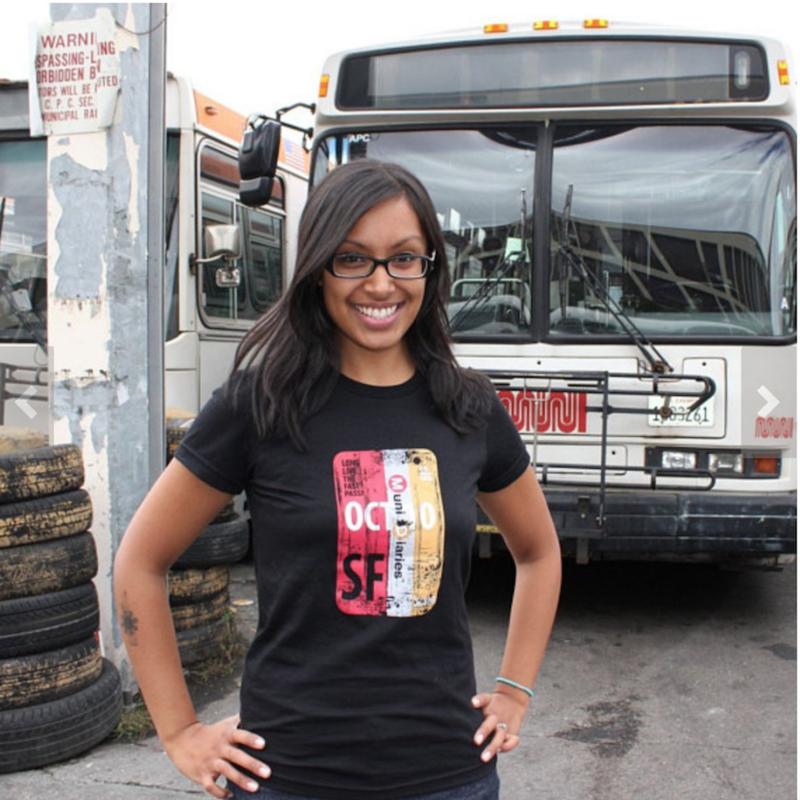 Here’s our own Tara modeling the Muni Diaries Fast Pass tee at the Potrero Muni yard. 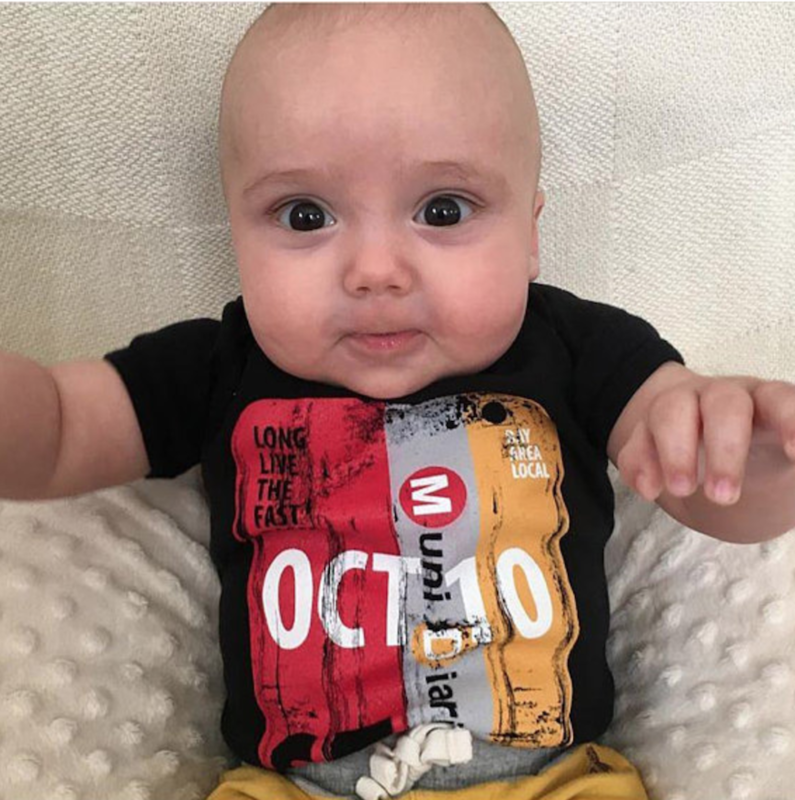 New this year: our new baby onesie model! All together now: Awwwww. 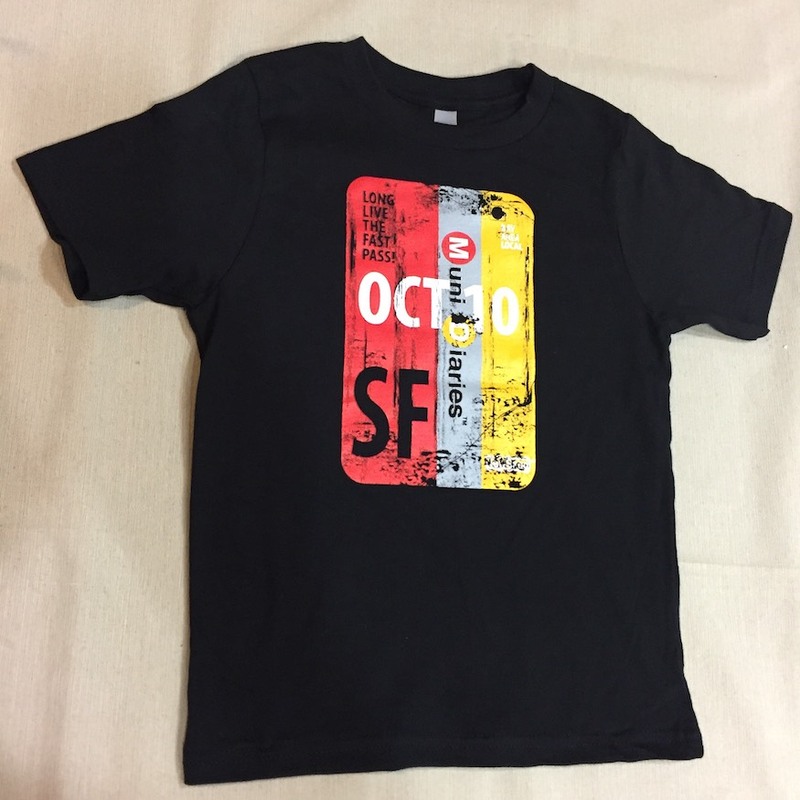 And if your little ones are not quite onesie-sized any more, they might like our new t-shirts for kids. And new this year, a tote bag to carry all your commuting must-have’s. Find all of these goodies at the Muni Diaries Etsy Shop. We’ll also be selling them IRL at the Muni Diaries Live 10th Anniversary Show. 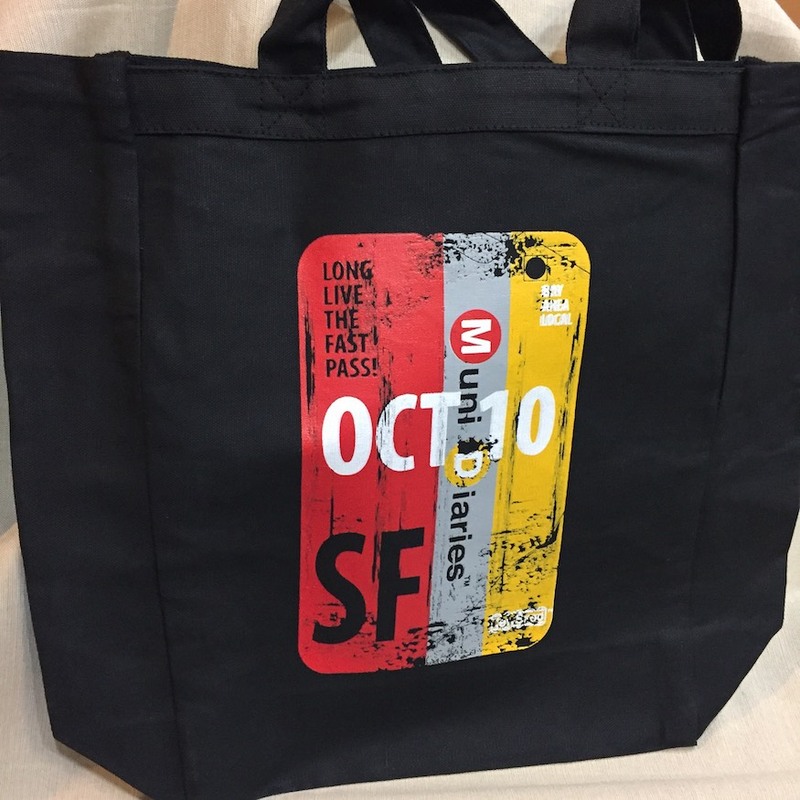 If you are wearing these Muni Diaries Fast Pass tee’s and tote bags around town, please send us a photo or tag us #munidiaries on Facebook, Instagram, or Twitter so we can feature you!